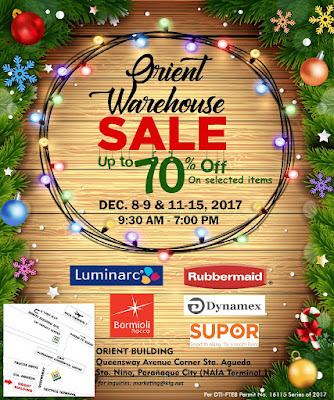 Get up to 70% off on Luminarc, Rubbermaid, Bormioli Rocco, and more great selections this coming December 8-9, and December 11-15, 2017 at the Orient Warehouse Sale. 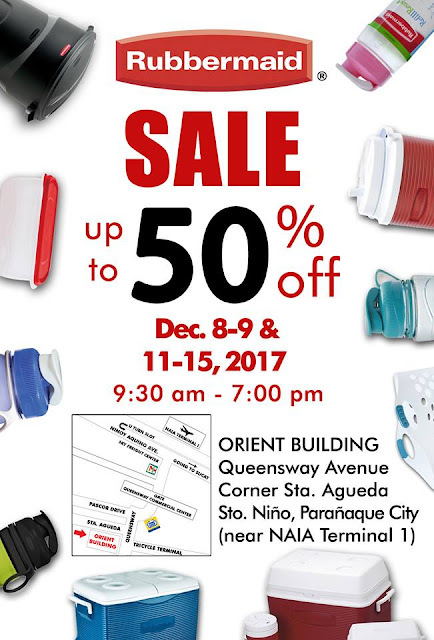 Great gift suggestions await from a large range of tableware, to kitchenware, and other home storage products. Check out what you can expect from the Orient Warehouse Sale HERE!